In our efforts to dominate the entire West Coast we headed NORTH! If you head past our Oregon Dealership towards Canada, you'll find us nestled in Fife which is right next to Tacoma Washington. We're right off of I-5 at exit 137! Here at the Fife location of RV Country we specialize in towable RVs. 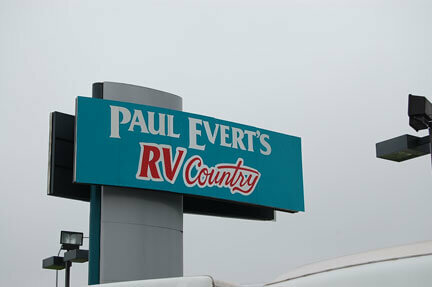 We offer financing, can help you with repairs, and would love the opportunity to earn your business and welcome you to the Paul Evert's RV family!